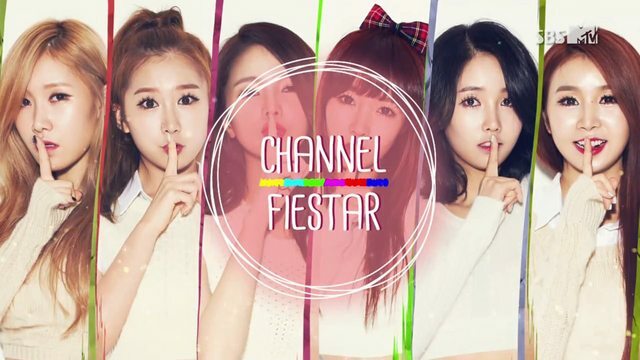 Channel FIESTAR is a reality/variety show that aired from November 2013 to January 2014. It features the K-pop girl group FIESTAR with members Jei (leader), Linzy, Yezi, Hyemi, Cheska, and Cao Lu. The show centers around the theme of Fiestar having a dedicated television channel. Each episode is split into three parts, totaling around 50 minutes of runtime, typically with multiple segments per part. Each segment is considered a show, and "advertisements" featuring the members are randomly dispersed throughout an episode. Segments range from reality TV-type shows ("Pair", which puts the members through a speed dating routine, and "FIESTAR Healing and Killing", where half the members take a trip to Osaka, Japan) to their private lives ("Goosebumps Experts") to silly games with punishments ("FIESTAR Arcade"). Channel FIESTAR is quite enjoyable. The interaction among the members and the variety parts of the show are reminiscent of Hello! Morning. It also helps that LOEN Entertainment subtitled the show in both English and Chinese. I've really liked fiestar since late August and them doing the "Channel ___" type show was a great thing for them. I've seen Bangtan Boys' "Channel" also and I love the different segments and how it showcases the different sides of each member. From the comments on Youtube, Loen has upped their international popularity more through A-HA and Channel Fiestar, and I hope they continue to do so. Although "I Really Don't Know" wasn't their best title track, I hope next comeback we get a mini album and a better title track just for the sake of them. Going back to the point, it made me almost cry to see it end (although i usually do that in the last episode of a show).